In the months leading up to Hillary Clinton's hearing before the House Select Committee leading the latest investigation into the Benghazi attack, a lot of voters were left wondering how her testimony would affect her presidential campaign. If Republicans on the committee successfully showed that Clinton made mistakes that allowed the attack to happen, or that she is untrustworthy because she used a personal server for emails, then her campaign could take a hit. However, if Clinton illustrated that she did her best to protect Americans in Benghazi, and that the investigation was a partisan scheme to discredit her, she could come out unscathed. Well, it looks like she pulled off the latter scenario, and the Benghazi hearing might actually help Clinton's campaign. There was speculation from the beginning that the investigation was intended to harm Clinton's presidential campaign, and the Republicans fueled the fire. House Majority Leader Kevin McCarthy said on Fox News: "Everybody thought Hillary Clinton was unbeatable, right? But we put together a Benghazi special committee, a select committee. What are her numbers today? Her numbers are dropping. Why? Because she’s untrustable." McCarthy's spokesperson, Matt Sparks, said in a later statement that the committee has "nothing to do with politics," but the damage was already done. Making it about partisan politics instead of the actual attack benefited Clinton, because she was able to argue that the committee was wasting taxpayer dollars. Madam Secretary, I understand there are people, frankly in both parties, who have suggested that this investigation is about you. Let me assure you it is not. And let me assure you why it is not. This investigation is about four people who were killed representing our country on foreign soil. Because "Emailgate" was more of a personal scandal for Clinton, taking the focus off of her email practices automatically put the hearing more in her favor. 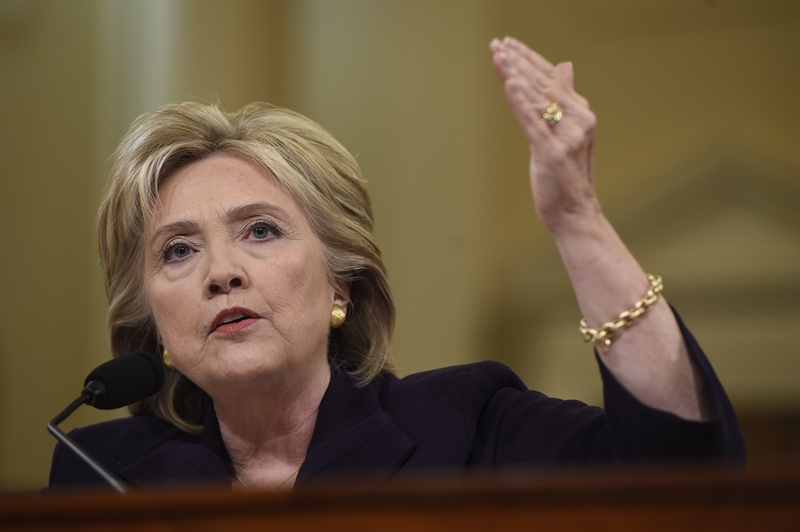 In fact, the Republicans on the committee helped Clinton with their lines of questioning, too. When it was Gowdy's turn to ask questions, he focused on Clinton's email exchanges with Sidney Blumenthal, who was sending the secretary of state reports from a source he knew in Libya. Clinton said: "I don’t know what this line of questioning does to help us get to the bottom of the deaths of four Americans." Gowdy explained that he thought it was fair to ask why Blumenthal had "unfettered access" to Clinton via email, while Chris Stevens, one of the Americans killed in Benghazi, didn't. As Clinton pointed out, Gowdy's questioning didn't seem pertinent to the attack, but rather a way to further discredit Clinton. As The Huffington Post pointed out, Clinton was the only one in the room who spent her entire time talking about Benghazi, and only Benghazi. Her statements were direct and sincere. She took responsibility for the deaths, as she did when it first happened, and she detailed ways America should learn from the tragedy to prevent similar attacks in the future. It's likely that Clinton's testimony before the committee will finally put the issue to rest in regards to her presidential campaign, allowing voters to move past it and look at her policy plans and political ideologies instead. Having a public hearing was a smart move, as America got to see not only her answers, but also the committee's behavior.